In adult large-breed dogs, maintenance of the skeletal and muscular systems places great demands on nutrition. 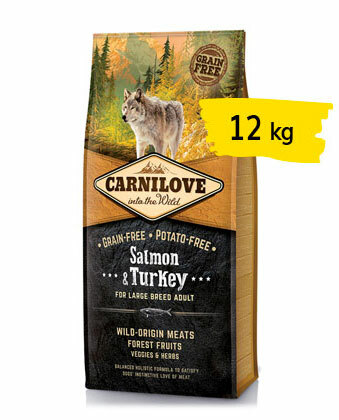 ancestor, the wolf, whose diet primarily comprises muscle, off al, and bone obtained from prey balanced with the correct proportion of wild berries, vegetables, and herbs. 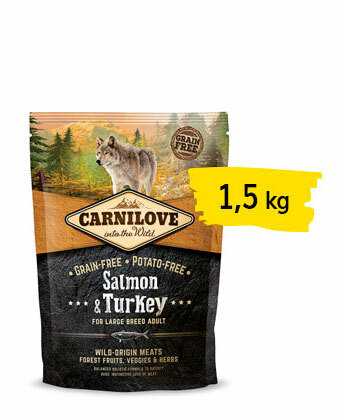 Varied sources of protein, such as salmon and turkey together with cartilage and mussel extracts, support muscle growth and ensure optimal physical condition in adult large-breed dogs.